Paper and Ink Playground: Can You Help the Weiman Wranglers? Can You Help the Weiman Wranglers? This is Ethan Weiman. Little Ethan lost his battle with neuroblastoma, an always fatal brain cancer. We personally know a little girl who is battling this same disease. Melissa of Pink Cat Studio has designed a special set of digital stamps to honor the life of this little cowboy who lost his struggle with this terrible disease. 100% of the monies raised will go to the Make-A-Wish foundation. You can purchase and download these adorable stamps for immediate use. 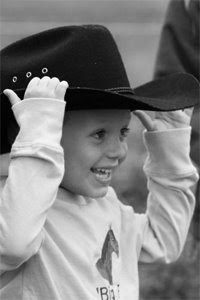 Please pray for this family as they mourn the loss of their little cowboy.